Who’s ready to meal prep? I used to eat a salad and then 2 minutes later reach for a bowl of granola. PS – that’s totally fine, I still do that sometimes. But the real problem here was that I just wasn’t loving salads. My secret: seriously, just keep it simple. This is the freshest of them all. 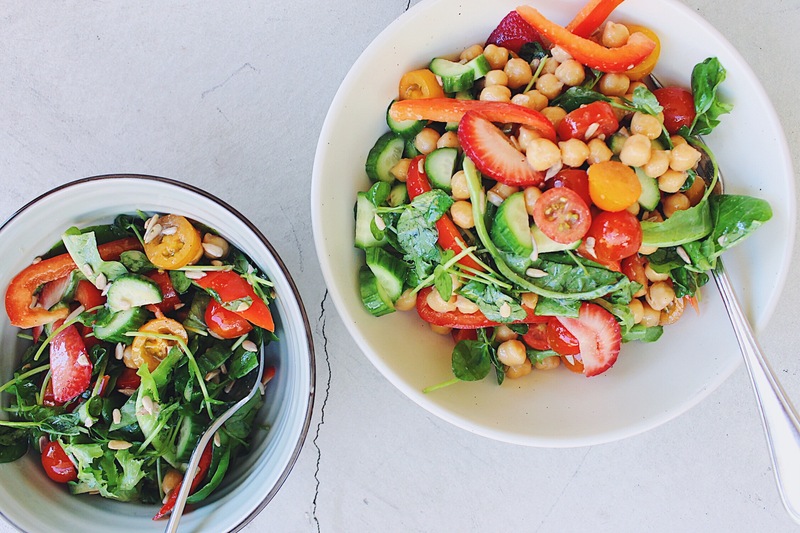 This is the salad you want when you need energy – when you thrive off of fresh, raw foods. some examples of fruits/veggies for this salad are: celery, shredded cabbage, cucumber, tomatoes, strawberries, bell peppers, radishes, etc. add the greens separately: if you’re packing these salads to-go, pack the greens separately and add right before consuming – opt for lighter greens like arugula, endives and chopped spinach. Think taco salad, chickpea salad, tuna salad…you get the drill. I love these salads as a more comforting food, but something that is still fresh. These are great salads to incorporate during the Fall/Winter months, during times when we need to feel more grounded and centred. 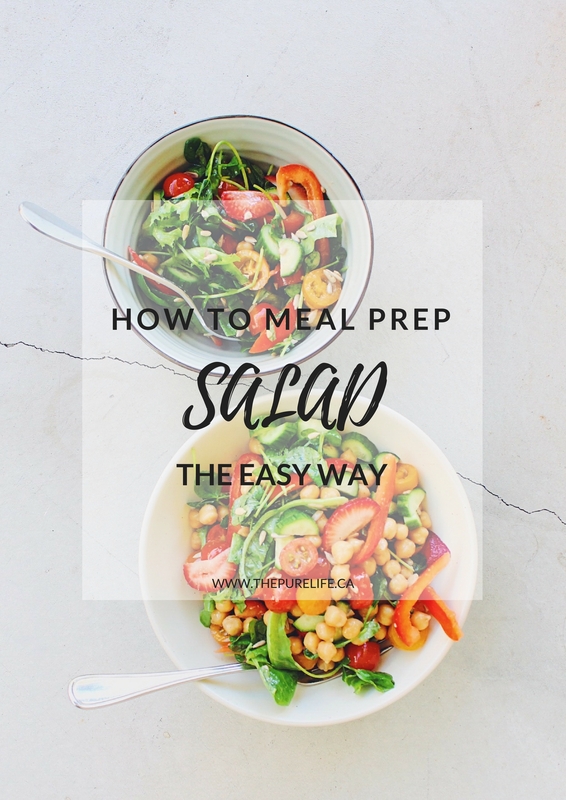 I hope you loved these salad meal prep ideas and tricks! 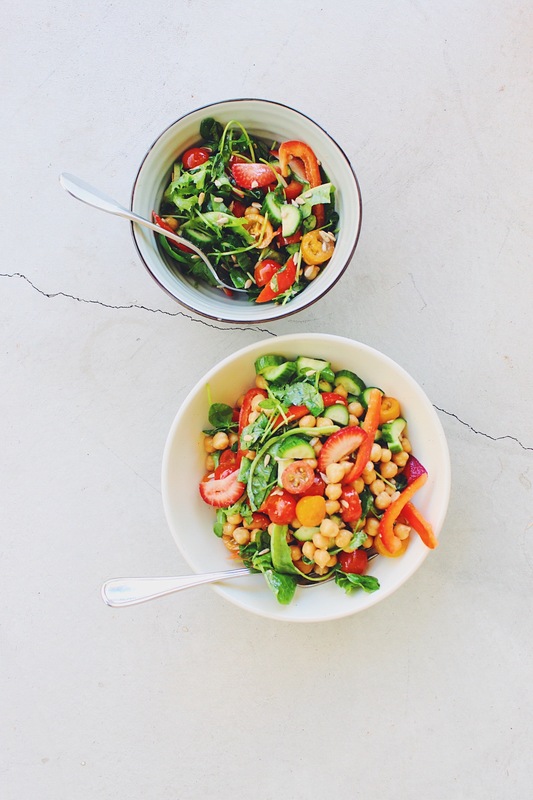 I’d love to hear from you, what are your favourite salad combinations, tips and tricks?